Is an On-site Medical Clinic Right For You? On-site, employer-sponsored medical clinics are growing in popularity as employers look for ways to manage health care costs and as employee wellness becomes a higher priority. An on-site medical clinic can offer health care services to employees in a convenient location at the workplace. Services offered at an on-site clinic can vary widely. Some clinics offer comprehensive primary care services, while others simply supplement the care employees receive from their primary care providers. These supplemental clinics may offer diagnostic services, injury care, pharmacy access, preventive care, wellness services and more. Employers can also choose the availability of their clinics. Larger employers may keep them open throughout the workweek, while companies with a smaller budget may limit the days or hours their clinics operate. In addition, some clinics provide services to spouses and dependents, while others are limited to just employees. Other options to consider include whether to have a full-time or on-call physician, or whether to have a nurse practitioner and supporting staff. An on-site medical clinic is a convenient and cost-effective method for employees to access care. Employers should carefully consider the advantages and disadvantages of on-site clinics before deciding if implementing one is an appropriate wellness strategy for their company. You can lower health care costs by reducing unnecessary emergency room visits. You can increase preventive care due to its convenience for employees. You can mandate generic medications when possible. You can integrate on-site clinical care with other wellness initiatives. You can reduce absenteeism by increasing employees’ access to care. You can help with return to work injuries by making on-site care and therapy available to employees. Larger companies, with at least several hundred employees, are more likely to reap the financial benefits of having on-site clinics. Smaller companies may not enjoy a large return on investment simply because there are not enough savings on employee health costs in comparison with the cost of starting and maintaining an on-site clinic. HIPAA—HIPAA and other laws prohibit employers from obtaining medical information and records and using it against employees. You will need to not only make sure that you are in compliance with this and other applicable laws, but you will also need to educate and reassure employees regarding their medical information confidentiality. ERISA—On-site clinics that provide medical services to employees beyond basic first aid are typically considered welfare benefit plans that are subject to ERISA. This means that many of the same compliance requirements that apply to your group health plan will apply to the on-site clinic’s benefits, such as the requirement to provide a summary plan description (SPD) and to make COBRA coverage available. Workplace Safety—On-site clinics may introduce new requirements with respect to worker safety and health, including federal standards issued by the Occupational Safety and Health Administration (OSHA). For example, employees working at an on-site clinic may be exposed to blood or hazardous chemicals, which are risks that would need to be addressed under OSHA’s safety standards. Another concern you may have to address is the real or perceived lack of quality care provided by an on-site clinic. Make sure that efforts to reduce costs are not influencing poor medical decisions. Questions about quality of care undermine the purpose of an on-site medical clinic and erode employee trust and morale. Once you have chosen to start an on-site clinic, you will have many practical considerations, including choosing the location and space, health care providers and vendors. You will also have compliance issues to work through with your legal advisors. Although an on-site medical clinic can have many benefits, it is not the best choice for every employer. 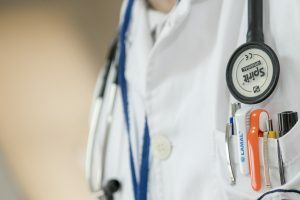 If you decide that an on-site medical clinic will be an effective wellness effort for your company, there are many choices to make regarding how to set it up and how to make it as helpful as possible for employees. Contact Sequoyah Group for more information on implementing wellness efforts.